Most politicians do well for themselves in opposition since to castigate is easier than to govern. Not quite so for Shehbaz Sharif. He makes for an awkward agitator. Microphones fall off the podium when the younger Sharif gets worked up. His oratory skills restlessly spiral into repetition or clichéd rhetoric. In contrast, he is seen as an efficient administrator when in power — one under whose spell the drains in Lahore are reported to continue functioning even during heavy downpour; one who is said to be capable of lining up the entire police cadre or bureaucracy in rapt attention. But Lahore is not Pakistan. It is not even Punjab. And if it was Shehbaz Sharif’s fiefdom for the past decade, it is no longer that either. All the investments in infrastructure and claims of good governance have failed to keep him in power. 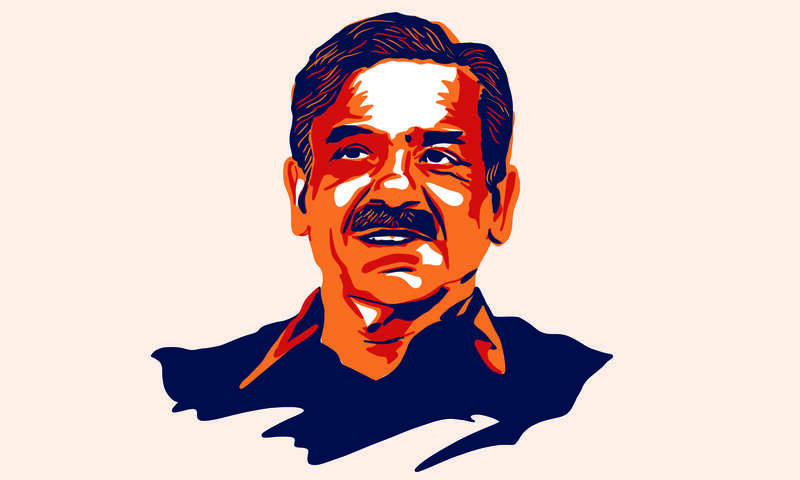 Shehbaz Sharif never really left the shadow of his elder brother Nawaz Sharif, a three-time prime minister. The former’s politics never went beyond Punjab. If he did voice his ambition to do so after the 2013 elections as was reported by some, he was not encouraged by the latter. And now that Nawaz Sharif is in Adiala Jail, Shehbaz Sharif is having a hard time establishing his authority over the Pakistan Muslim League-Nawaz (PMLN) as the party’s new president. The 2018 election campaign that he led was lacklustre and his attempt to lead a rally to welcome Nawaz Sharif on July 13 fell flat — Shehbaz Sharif and his supporters failed to reach the airport even in the absence of a significant resistance from the government. 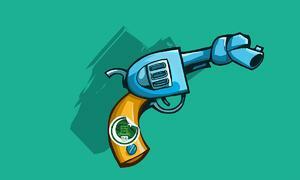 There are reports of the party’s leaders taking cues from Adiala, many without Shehbaz Sharif’s knowledge. There is also speculation about the possibility of a forward bloc, reinforced by reports of some PMLN legislators in the Punjab Assembly voting for Chaudhry Pervaiz Elahi in the speaker’s election. And then there are mistakes that are only his own. 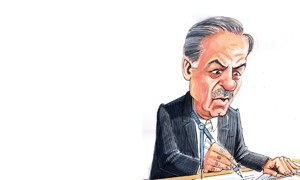 Rather than sticking to the art of the possible, Shehbaz Sharif has preferred to bend the odds in his favour — sometimes by brute force. Take the Model Town fiasco of 2014. Around 14 Pakistan Awami Tehreek workers were killed in a clash with the police — a tragedy that could have been avoided had the police and the administration handled the situation tactfully. That the police resorted to such an extreme measure to quell the agitation speaks volumes about the impunity it enjoyed under Shehbaz Sharif as the chief executive of the province. The notorious Abid Boxer, a former police inspector, claims to be one of those acting on Shehbaz Sharif’s orders while enacting dozens of fake encounters in Punjab in the 1990s. Another man in Lahore once famously accused Shehbaz Sharif of being behind the extrajudicial killing of his son along with four others in 1998 — a charge he was later acquitted of. Even if accusations against Shehbaz Sharif of being directly involved in these encounters stand on shaky ground, the numbers are damning. According to a report published in daily Dawn, 850 suspected criminals were killed in police encounters in Punjab between 1997 and 1999 — a time when he was chief minister of the province. This continued during his later stints in the same office. The same news report adds that, according to the provincial police’s own figures, 66 alleged criminals were killed in 42 police encounters in Lahore alone in the year 2008. Being in the opposition will require him to be much more answerable to the electorate than he ever was in the office. It also requries some magnanimity. 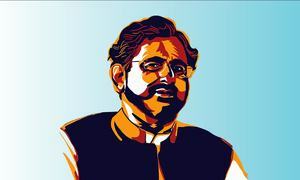 Nominating himself as the prime ministerial candidate and his son Hamza for the Punjab chief minister post – even when victory was highly unlikely on both fronts – was a misstep. It alienated other opposition parties, in particular the Pakistan Peoples Party (PPP), which abstained from voting in the prime ministerial election because of Shehbaz Sharif’s abusive speeches against its leaders in the past. Now having lost that contest, he has installed himself and Hamza as leaders of the opposition in both Islamabad and Lahore. His maiden speech in the National Assembly was another lost opportunity. Delivered amid a ruckus on the floor, it got lost in his own rhetoric. His inability to bring opposition parties together for a consensus presidential candidate will further dent his political stature. Shehbaz Sharif also seems unsure of adopting his brother’s stance against the military establishment though his softer position on the issue has not had the desired effect. There appears to be no indication that the military is more willing to put up with the younger Sharif, even if he is said to enjoy a better rapport in the GHQ than his elder brother. Party workers, on the other hand, may leave feeling betrayed. Or they may feel that Shehbaz Sharif does not have his brother’s back. This does not paint a particularly flattering image of PMLN’s once strongman in Punjab. Will the revival of the Model Town incident create problems for the Sharifs? Shariffs never invested in strengthening the institutions rather they invested in promoting their personalities!